Thermaflex is diverse in every sense of the word, commercially, geographically and in terms of the people who work with us. As an employer we aim to be a source of energy for passionate employees empowering them to achieve and surpass their potential. Your strengths, dreams and ambitions are our greatest assets. We offer every employee the opportunity to grow, develop and play on their own strengths. Within highly professional teams and in an international innovative environment. Thermaflex is always looking for innovative thinkers. Tackling today’s complex challenges demands a solution-oriented approach. 26 years I enjoy working for Thermaflex! Previously, I did not have much knowledge of the foam insulation. I started to study and learn about foam insulation for the first time here. I am happy to work with Thermaflex Asia. We have good welfare and just like a big family we do activities together. Each and all of us are friendly colleagues, we always help each other. I have 2 daughters. My eldest daughter will graduate from university next year. My younger daughter is in Mathayom 3. 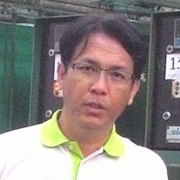 Another thing that I am proud of is that I am the employee with the longest service in Thermaflex Asia. I thank Thermaflex for enabling me to live a good and happy life. My name is Noppaphop Suwannapoom but my friends call me "Phot". 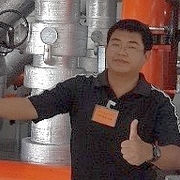 I work as a production manager since I started with Thermaflex Asia in November 2009. Before I joined the team, I was working in the automotive part industry and household appliances. Initially I had to learn a lot about the production of foam which Thermaflex Asia gives opportunities for all staffs to participate in all development areas. Something which makes me happy is a smooth production process without mistakes. However, when problems occur, I'm ready to solve them efficiently. My colleagues are always willing to help each others when problems occur. Thermaflex is a lean organization, from products, to manufacturing processes and deeply concerned about the environment. I believe that the mission and goal of Thermaflex is real and sustainable. My life is happy, I have a good job, good family, good friends so I'm happy to be a part of Thermaflex. I fell in love with the organization! My name is Wantana Sampaothong, nickname is Tom. 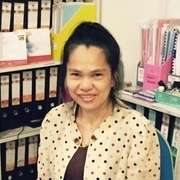 I work as Financial and Information Manager. I joinedThermaflex Asia in 1993. At first I decided to work for this company because of the welfare and benefits they offer to employees. But after 2-3 years working with Thermaflex I fell in love with this organization. The management in Thailand understands well the Thai culture and that is important. I have the 2 children the eldest is daughter, she is studying at the University. My son is studying a marine course. There are many stories and experiences to tell which happened during the time I worked here, both with joy and sorrow. Thermaflex in Thailand is about working as a team, it is like a big family. 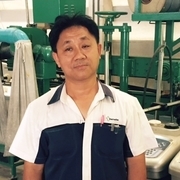 Thermaflex Asia takes care and is attentive supporting the employees life and their families. I'm happy to be working with the company. 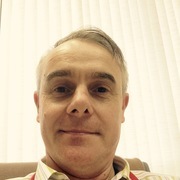 My name is Peter Van den Broecke and I am the sales and marketing Manager for Thermaflex Asia. I started in this position end of December 2014. 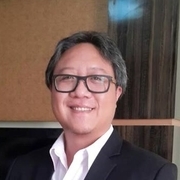 I am happy to be part of Thermaflex Asia, because despite being small, I strongly believe we can create a unique footprint in the South East Asian region. Combining our sustainable solutions together with partner companies who share the same durable passion for making a positive impact on our lives and those of generation to come. I Am A Belgian and worked for over 24 years in Europe, in mid and big size chemical companies in several International roles before moving to Thailand. Finally Thermaflex Asia is more than just another company, its a family, its a group of friends, where we everyday again motivate each other to the next level up. I have 2 sons and most of the time apart from my job, I spend time with them. I am very happy when we do family activities or when I help them improve their English language ... The whole family is well connected to my colleagues and managers as we know each other’s for a long time, just like a big family. We do several activities together. Thermaflex takes care of families and employees. That ensures the support of my family regarding my working life. I am very happy to work here due to the company openness for employees self-development. I enjoy everyday a good and friendly collegial environment! My name is Kittisophon Thongsirirat, my nickname Bo. I started working with Thermaflex as Technical Sales Support role in 2012. In 2013 I was invited to join the international conference. At those conferences employees can share and exchange knowledge and it made me understand the turn we were taking from products to fully sustainable smart solutions supplier. Just Recently I have been promoted to be the manager of the Systems and Solutions department.